After our success on Friday finding a few early Chanterelles, I decided today would be a good day to head up a bit higher and see if I could find more. I headed up towards Dakota ridge and took a left when I got to the power lines turning onto Airport Road which leads up to the Chapman Creek Water shed. 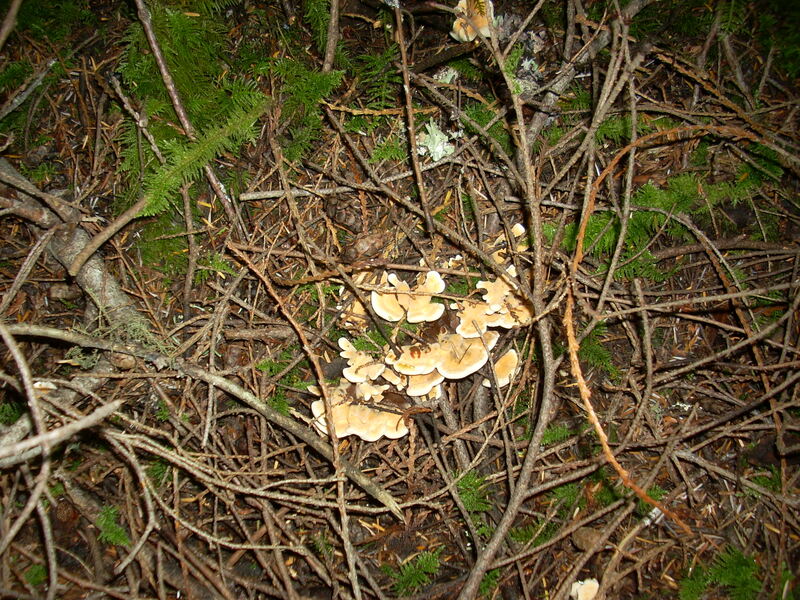 I stop at a couple of spots along the way that looked promising and where I had success finding Gypsies and Chanerelles last fall. The terrain looked good, but no luck. I had foraged there at the end of September after a couple of good rains, It was still pretty dry in the area so I headed back to the truck and carried on to about the 7 kilometer marker. There was an old road that ran off to the right so I parked and took a walk about another kilometer up it. I was checking to see if there was a place to turn the truck around and there was. I don’t like driving up a road only to find I have to back up all the way… not fun. This looks like a promising place to check out later this fall. I will put it on the agenda for a group foray. There are another couple of areas that have potential so this might be an all day foray. Again a good potential area for a group foray. 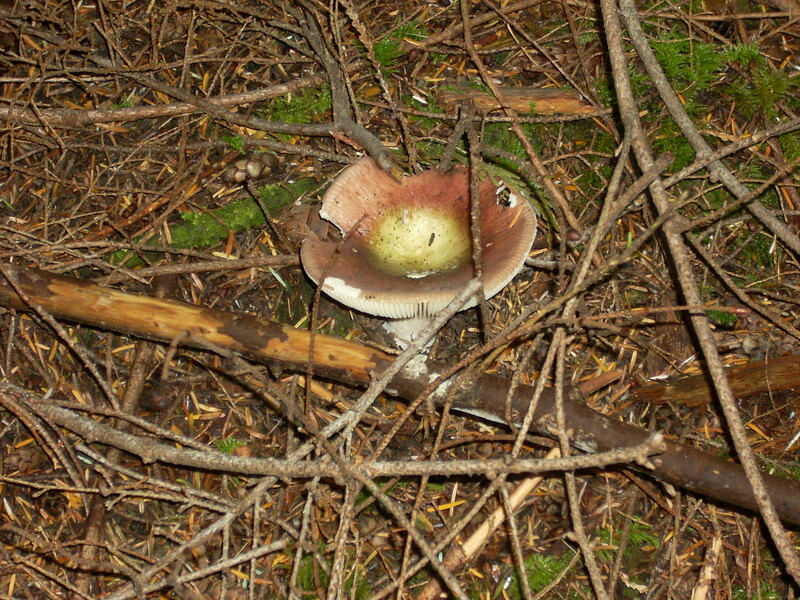 I turned around headed back down to where I had success last September finding pines and boletes. 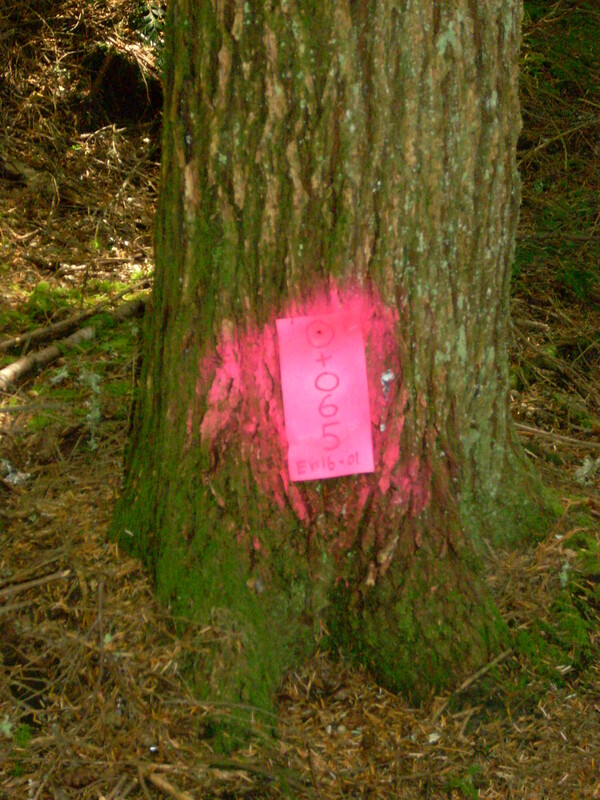 I got out of the truck and walked in and immediately saw the surveyors tape on some trees. 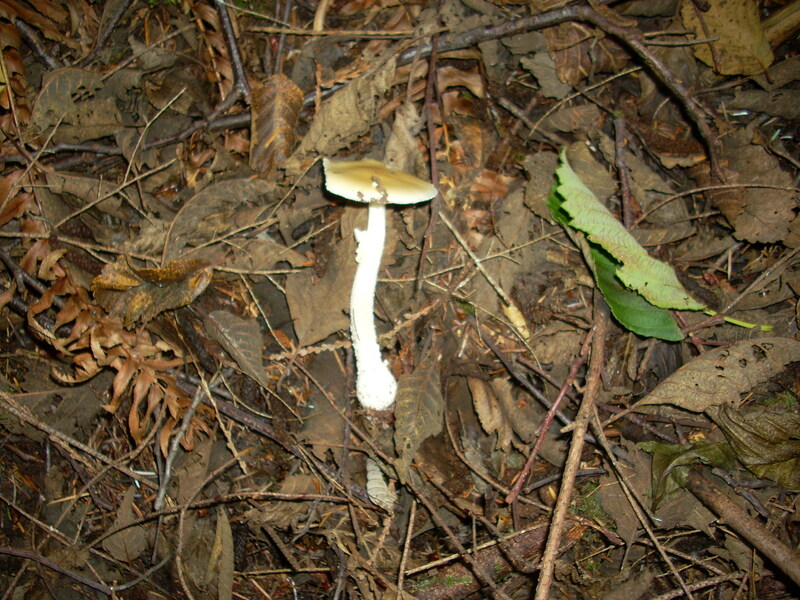 Not a good sign… this was a great area with a lot of diversity of mushrooms. It’s pretty upsetting to know that one of your favorite picking sites is under the chopping block…This is a cut bock layout!!! 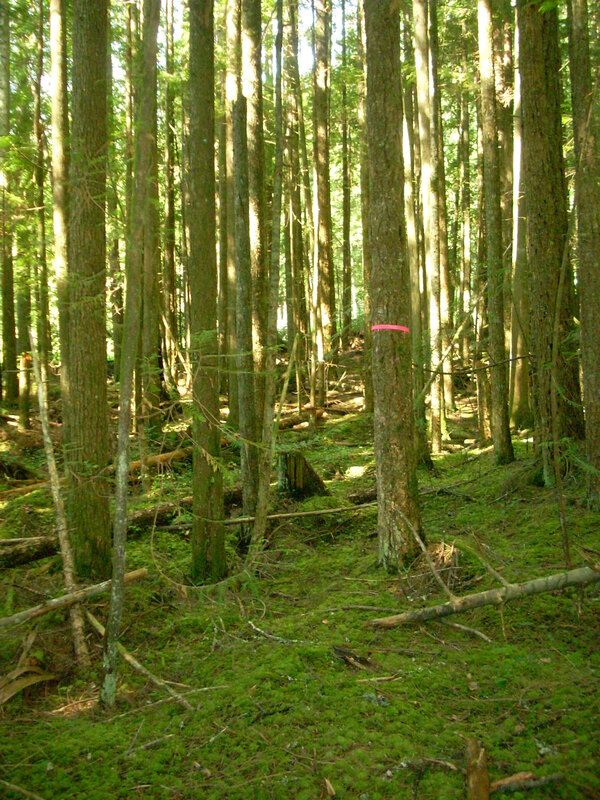 I just hope they are slow in logging the area. This site is on the south side of the road, so the north side I haven’t scouted but I will keep my eyes on the area this fall. 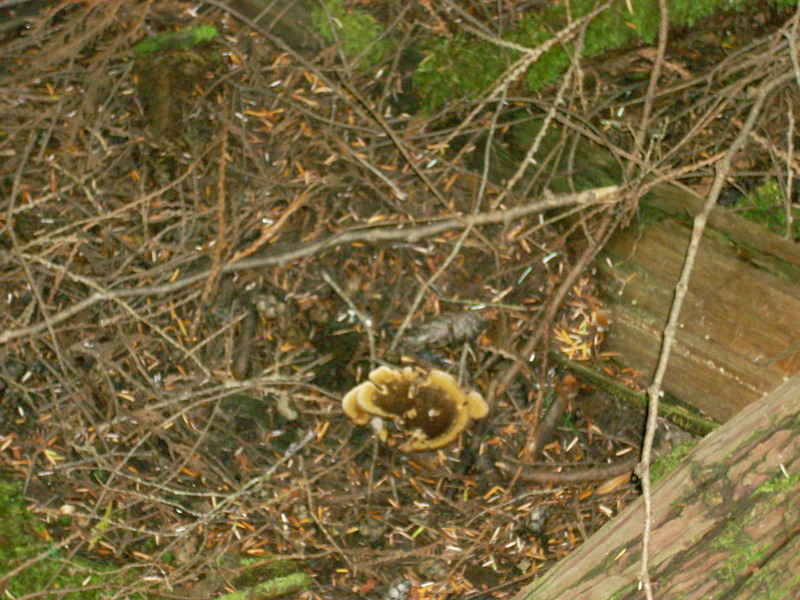 As an example I saw several dyer’s polypores spread over a large area of the forest floor.. They are young and small yet, but they covered a large area. 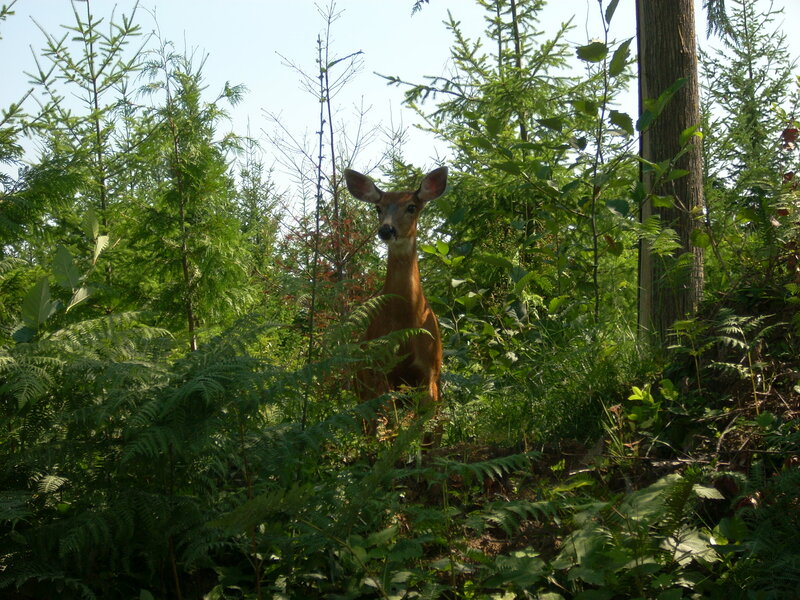 All you dyers out there let me know if you want to do a foray to the area before it gets logged…may even get a few pines at the same time. I didn’t pick it, but left it for later. 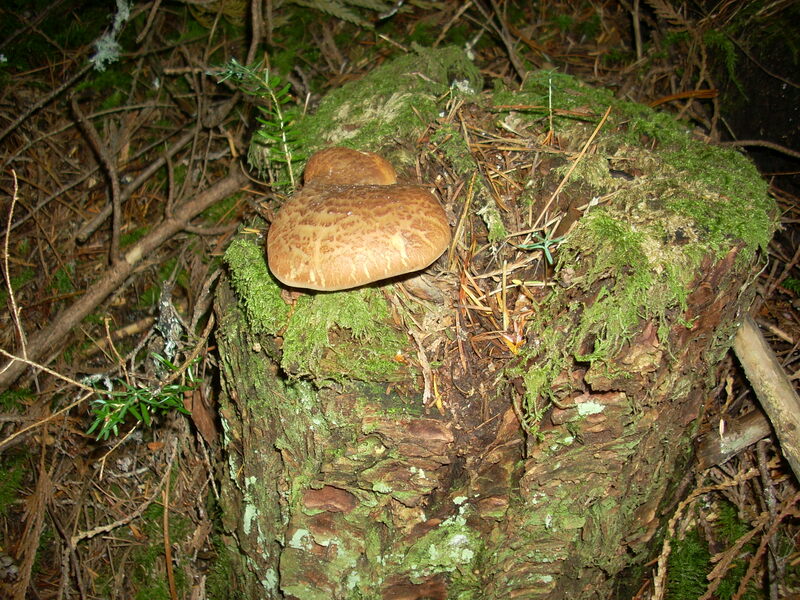 I carried on down the mountain to my last stop, an area that I had found Chanterelles last year at the end of August. 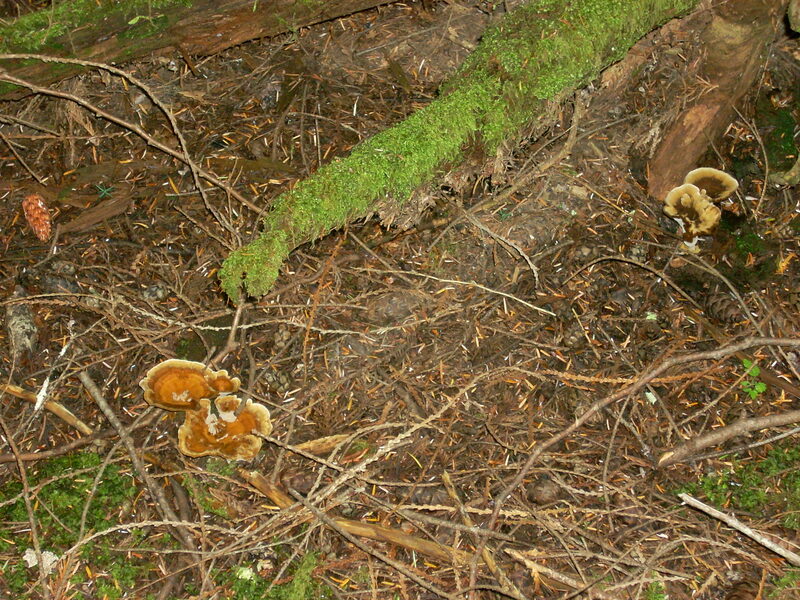 Sure enough, in almost the same spot, on a game trail, I found a handful of Chanterelles. All in all it was a good day and a bad day…good in that I scouted a few good future foray sites and found a couple of edibles. Bad in that it looks like my go-to place for pines is about to be logged. She stood there looking a me as I took her picture, poised and calm like this happens every day. Lets all think positive about a bit more rain, then sun,and then rain and then more sun. 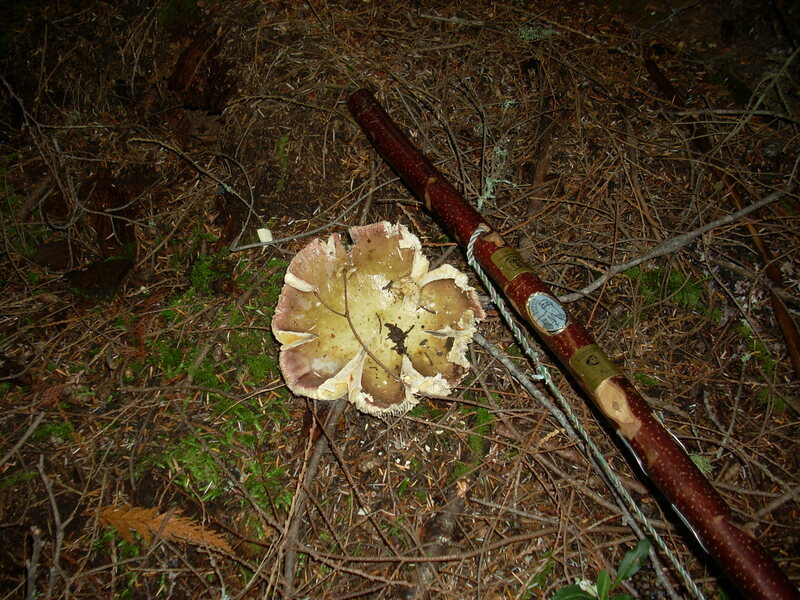 Good hunting and keep watching the SCSHROOM web site and our Facebook page for up coming forays.